Anyone ever been to Lake Garda? It looks absolutely stunning and there’s a cracking deal over at Groupon for a little getaway with a choice of hotels and return flights for as little as £89 each !! Nestled in a quaint part of the Sirmione peninsula, the family-run Mauro Hotel allures travellers with a cosy garden and intimate atmosphere. 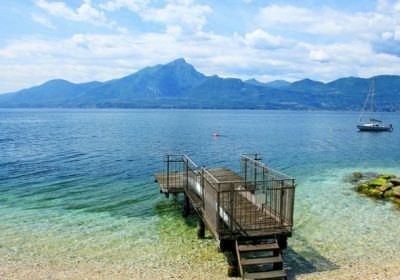 Lake Garda is just 200 metres away from the hotel, while the sandy beach can be reached within a few minutes’ walk. Guests can unwind in air-conditioned rooms which come complete with TVs and en suite bathroom facilities. Some of them also boast balconies with scenic views. On-site restaurant offers a variety of national and local dishes, while a selection of beverages can be enjoyed at the hotel’s bar. Situated a 2-minute walk from Porto Riel and Lake Garda and 5km from both the renowned Jamaica Beach and the archaeological sites in the Old Town, Hotel Riel offers an ideal base for exploring the local area. The rooms feature en suite bathrooms, flat-screen TVs and desks. On-site amenities include an airy pizzeria with a bar and a terrace. The romantic town of Riva del Garda is set between the green-clad slopes of the Italian Alps and the blue shimmering waters of Lake Garda. Forming a secluded Mediterranean oasis with olive and palm trees at every step, the lake’s rolling shores are a paradise for travellers fond of nature. Tourists can try their hand at water sports such as sailing and windsurfing in the town’s two harbours, while rock climbing provides a land adventure. 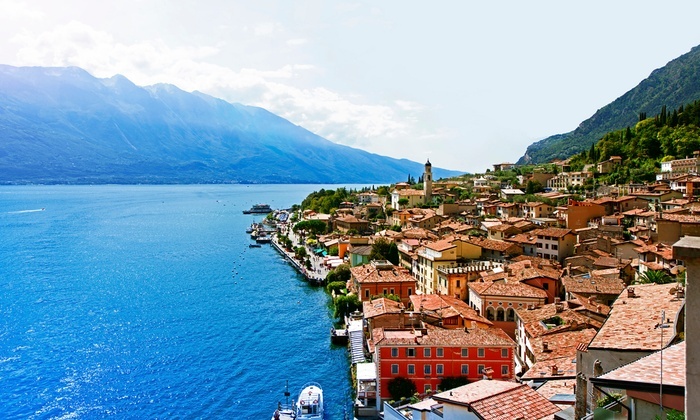 Strolling down pedestrianised streets, guests can see the moated castles and the medieval tower, and enjoy a traditional Italian lunch in one of the many local restaurants in the historic town of Riva del Garda. The town’s civic museums include picture galleries and an archaeological collection, while historic sites can be found in the Rocca, a former fort just off the shore.